Thank you for visiting Sew Practical. The patterns and desktop backgrounds on this blog are available for Instant Download only. Please read the Download Instructions label or button on the right side of this page if this is the first time you've purchased e-patterns from us. ANY FINISHED ITEMS SOLD ON THIS SITE ARE MEANT TO BE USED OR COLLECTED BY PERSONS 18 YEARS AND OLDER. BY PURCHASING ANY ITEMS FROM THIS SITE YOU ARE AGREEING TO THESE TERMS. THANK YOU. I hope you're all enjoying this great spring weather and that you weren't devastated by the storms that went through last week. Don't forget, we are no longer using www.sewpractical.com as our domain name. We have reverted back to using www.sewpractical.blogspot.com as our domain name. Below are a few projects I have finished this month and I would like to tell you a little bit about the products in case you're thinking about making these as well. Below is a quilt I just finished. It has the Footprints poem embroidered onto it. The stamped quilt top is all that came in the package. Backing, batting, quilting thread, and embroidery floss has to be purchased separately. I can't remember who makes it now. I do remember that I bought it at Ben Franklin Crafts a couple of years ago. The stem stitch was the only stitch used to embroider the words and footprints onto the quilt top. I hand stitched and hand quilted the entire quilt except for the binding, which I machine stitched so I could finish it before a very important date. This is a very calming type of craft to do. Just stitch over the stamped words or images! Don't forget. My Souls Not Sales book event will be active all April. 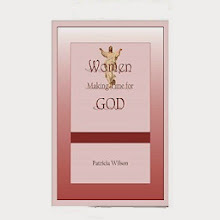 I have posted my entire book Women Making Time for God on my Women Making Time for God blog. You can find that post at the following link: https://womenmakingtimeforgod.blogspot.com/2019/04/souls-not-sales-women-making-time-for.html. I also want to remind you about our sale going on this month at Happy Home Creations (HHC2019) on Etsy. With all this pollen in the air, Mom's going to be reaching for a tissue quite often right now. Our tissue box covers are a great way to tell her Happy Mother's Day, and she can use hers for many years to come. If she likes honey bees, she will adore this Quilted Honey Bees Square Tissue Box Cover Sustainable Gift. Thank you for dropping by to see us today. Feel free to send us an Etsy message if you have any questions about any of the items we have for sale. We'll reply within 24 hours or less. April 1, 2019 Newsletter - Etsy Sale and New Item Listed! Thanks for dropping by. How are you all today? I hope well. I want to let you know that I have ditched the www.SewPractical.com domain name. GoDaddy's prices have gotten so high that I didn't pay for that this year. So, if you found us through an internet search, you can now find us only at the Google Blogspot address of www.sewpractical.blogspot.com. With Easter and Mother's Day coming up quickly, I decided to have a sale. Hop on over to the following link https://www.etsy.com/shop/HHC2019? to take advantage of this. My Souls Not Sales book event will be active all April. I have posted my entire book Women Making Time for God on my Women Making Time for God blog. You can find that post here: https://womenmakingtimeforgod.blogspot.com/2019/04/souls-not-sales-women-making-time-for.html. Watch for another book to be released soon! I just finished a quilt project, and I just started a bookmark cross stitch project, so I hope to get some pictures and prepare a product review or two for you in the next newsletter or two. I wanted to drop by with a quick hello today. I hope all of you are doing well. So far, we have managed to avoid the flu and pneumonia that are going around in our area. I've been doing some deep cleaning along with my routine housework throughout each week to keep as much dust (a.k.a. germ and bacteria host) out as possible. Because of the added cleaning, I haven't been doing much crafting. That doesn't mean that I won't suddenly drop the cleaning for a couple of days though. 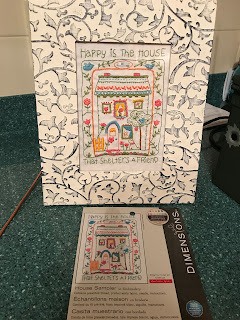 So keep a watch on Happy Home Creations 2019 (formerly Mom and Pop Craft) on Etsy https://www.etsy.com/shop/HHC2019. I do a lot of thinking while I clean, so you just never know when one of those ideas will go directly to the sewing machine, embroidery machine, or Cricut. ; ) I have several classes yet to take on the Cricut and finally, have a few supplies coming thanks to my family. I understand it's quite addictive once you get the hang of using it. I'll try to make it back by the end of the month with a new item announcement and at least one product review. 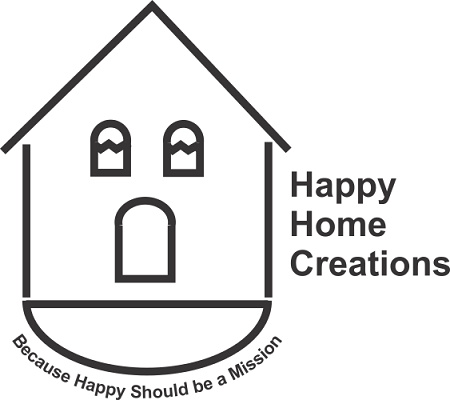 Let me know if you have any happy home ideas I can make for you. Personalize it with an initial from the list of hummingbird fonts at the following link on our blog: https://www.sewpractical.com/2019/02/hummingbird-font-initial-choices-for.html. Here's the link to see our new bowl cozies and quilted tissue box covers under our new name: https://www.etsy.com/shop/HHC2019. More happy home creations will be added soon! So please visit often. Below are a few snapshots I took of the embroidered quilt I made to use for my white background that Etsy recommends for our pictures. With all the Christmas excitement, I was unable to make a second post in December. I hope all of you had a very Merry Christmas and are having a wonderfully happy New Year. I'm excited about all the upcoming changes I'm working on for the Etsy store. Stay tuned for that! I'm busy every day preparing for the switchover. My husband took my drawing of what I wanted to use for our new logo and made it beautiful with his digital products. He bought me a Cricut Maker for Christmas, so I hope to learn to use that for all kinds of things from tags to hang on our products to making actual products with it. I'm also making a white quilt to use as a backdrop for pictures of our new products. Yes, I could have used a sheet or a shower curtain, but I'm a crafter and wanted something pretty! So I'm making a quilt. By February 1, 2019, I hope to announce the new store and the first few of the all-new products we're going to offer. I finished the hand-embroidered project above and gave it as a Christmas present. The recipients have three adopted animals and tons of flowers. I bought the pretty frame from Hobby Lobby. 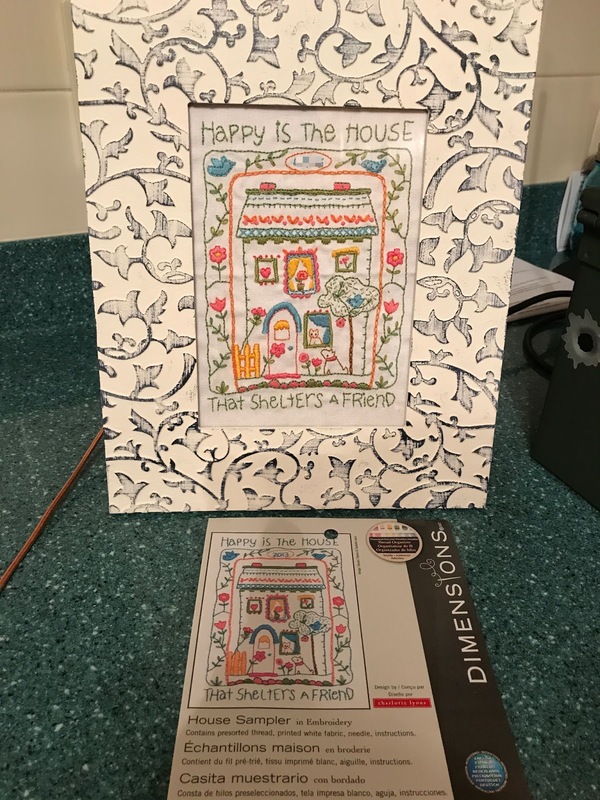 This was made from Dimensions kit 71-06242 titled House Sampler. Plenty of floss was provided to complete the stamped embroidery project. As stated, this is a sampler so you can practice many different embroidery techniques while you're making this fun and simple project. I made these hummingbird coasters from Craftways kit 180774. The coasters are included! These were a gift as well. There was so much floss left over that I'm going to make a matching gift to give to the recipients of these coasters next Christmas. These were so fun and easy to make! Have you ever heard of pom-pom yarn? My husband dragged me to Hobby Lobby (no use of force was actually necessary) just before Christmas and when I saw this, I had to buy some. The instructions to make the little pom-pom rug are on the inside of the wrapper. I hope to work on that this month too! I may have to look for some more patterns for this awesome yarn. Last but not least, I had to show you pictures of the snow we got the second week of December. I got the measurement in the first photo when we first got up that morning. It continued to snow throughout the morning, and we had a total of about 10 inches of snow before it started melting later that afternoon. It looks like there's a cake sitting on top of the birdbath in the last photo. Even though we had temps in the 50s and 60s shortly afterward, it still took about two weeks for all the snow to melt. I hope all of you had a lovely Thanksgiving. We did. My family and I stopped our regular bible studies and had a week of thankful bible studies and named several things we were thankful for during that week. It was a great reminder for each of us to say all those out loud during our bible reading each night. In spite of all my transcribing work in November, I was still able to finish a few projects. They actually happened to be Christmas gifts, so I may actually publish a third newsletter after Christmas to show those to you. During our Souls Not Sales event through December 31, 2018, you can read my book free at the following Women Making Time for God blog link instead of purchasing it from Amazon: https://womenmakingtimeforgod.blogspot.com/2018/03/souls-not-sales-women-making-time-for.html. Keeping with the Christmas season, I have added more items and started another Etsy sale. The sale will run from December 3, 2018 to January 2, 2019. Here is the link to all the items on sale: https://www.etsy.com/shop/MomandPopCraft/items?ref=seller-platform-mcnav&section_id=1. Shipping is still free! Many of the items on sale will be great for Christmas, Valentine's Day, Easter, Mother's Day, or birthday gifts. The rest of the sale items are Christmas decor. This will likely be the last sale I will run for a while and will definitely be the last time you will see any of these items listed in our Etsy store. I plan to rebrand and rename our store in 2019. If you have any questions, feel free to send me an Etsy message. I reply within about 24 hours of receiving those. As always, thanks for dropping by and reading our post. Our original patterns and creations are registered at the Copyright Deposit.